Toyota knew two years ago about the engine problem behind its latest Lexus recall, even changing the spring part to correct it, but did not think a recall was warranted until recently, a company official said Tuesday. Toyota Motor Corp. started Monday a global recall over engine defects in its Lexus luxury models sold around the world, as well as the Crown sold in Japan, moving to repair some 270,000 vehicles to replace valve springs - crucial engine components that are flawed and could cause vehicles to stall. In August 2008, Toyota changed that spring part, making it thicker, to prevent the problem, spokesman Hideaki Homma told The Associated Press. That is why the latest recall does not affect vehicles produced after August 2008. Toyota, the world's top automaker, previously thought the problem was caused by a foreign substance entering during manufacturing of the valve springs, and beefed up checks so that wouldn't happen. But the company had thought the issue was an isolated problem that didn't require a recall. "We changed the part in August because then the problem won't happen at all, even if tiny particles enter during manufacturing," Homma said. "We are talking about microscopic particles here." But the complaints started climbing, and Toyota decided recently they weren't isolated problems after all, but a design defect, and decided to issue the recall, Homma said. Auto analyst Koji Endo at Advanced Research Japan Co. said automakers routinely improve parts and technology when a product is remodeled, and the facts don't necessarily point to an intentional cover-up. "They are paying for that now," he said. "Demand had been surging and so it was difficult to balance that with maintaining quality." 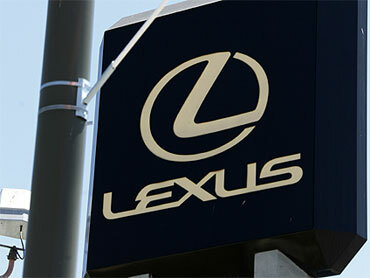 Affected in the latest recall were Lexus models GS350, GS450h, GS460, IS350, LS460, LS600h, LS600hL and Crown models, including about 138,000 vehicles in the U.S., nearly 92,000 in Japan, 15,000 in Europe, 10,000 in the Middle East, 6,000 in China, 4,000 in Canada, and 8,000 elsewhere.